Eng. Amr Nassar, Minister of Trade and Industry, continued his series of intensive meetings with representatives of major international companies participating in the World Economic Forum held in the Dead Sea in Jordan on the Middle East and North Africa, including a meeting with Masahiro Narikyo, Chief Executive Officer of Sumitomo Electric International In the engineering industries. The meeting discussed the companys projects in Egypt and its future plans to expand in the Egyptian market for production in the local market and export to the regional markets. The minister said that the meeting reviewed the possibilities of enhancing the companys investments in Egypt, especially the economic zone of the Suez Canal, pointing out the importance of working to transfer some of the industries based on modern technology to Egypt. Nassar pointed to the governments keenness to create an attractive environment for investments in various industrial sectors, especially engineering industries, as one of the most promising sectors in the Egyptian market, which can contribute to the upgrading of the national industry and the enhancement of Egyptian exports to foreign markets. The minister pointed to the possibility of benefiting from the Suez Canal axis to facilitate the companys commercial relations with the international markets, especially that Sumitomo has many companies and investments in the Asian continent and exports its production to various countries through the Suez Canal. The company, which has been operating for 100 years in six major sectors, includes construction and transport systems, infrastructure, ICTs, metallurgical industries, energy, chemicals and real estate. The minister praised the success of SE Wiring Systems, a subsidiary of Sumitomo Electric, which works in the Egyptian market in the field of producing electric braids for cars and vehicles. The Port Said plant is a good example of quality and seriousness. Masahiro Narikyo, Chief Executive Officer of Sumitomo Electric International, said: "We are keen to inject more investments into the Egyptian market as a promising market that provides more opportunities for export to different markets and neighboring countries." Of factories and new job opportunities for young people. He added that the current economic reforms in Egypt represent an important positive incentive to attract international companies to invest in the Egyptian market, which is one of the most important investment targets in the region. The Minister also met with Ramez Fawzi, Regional Director for North Africa at Johnson & Johnson, a specialist in the manufacture and production of medical instruments, childrens products and cosmetics, to discuss the Companys current investments in the Egyptian market and its future plans to increase its activities in Egypt in the fields of innovation, development and medical and pharmaceutical solutions. The minister said that the company is currently considering expanding its business in the Egyptian market and using it as a commercial and logistic hub for the products of African markets. He pointed out that the network of free trade agreements signed between Egypt and a large number of countries and major economic blocs in the African continent encouraged the company to expand its production. In the Egyptian market and export to the regional and continental markets. Nassar added that the company has great experience in the nature and potential of the Egyptian market through the presence of factories in Egypt for almost 40 years. Ramez Fawzi, Regional Manager for North Africa, Johnson & Johnson, pointed to the companys keenness to expand its investments in the Egyptian market for production to the local market and export to the regional, continental and international markets. Eng. Amr Nassar also held a meeting with Bishoy Azmi, CEO of ASGC, a UAE real estate and construction company, to discuss the companys plan to expand its investment portfolio in Egypt during the next phase. New investment fields in Egypt, especially in the industrial sector. Bishoy Azmi, Chief Executive Officer of ASGC, said that the Egyptian market represents a distinct investment hub in the Middle East markets. He pointed out that the recent economic reforms carried out by the Egyptian government, which included major projects in the fields of construction, Its presence in the Egyptian market. The meeting was also attended by Othman Fidansi, regional director of Royal Philips Middle East, a specialist in medical care. The meeting reviewed the companys future plans and expanded its investments in the Egyptian market. The minister stressed the need to benefit from the companys expertise in this field, especially that it has a long strategy and experience in improving global health through the companys major innovations. The company aims to improve the life and health of 3 billion people by 2025. Nassar explained that the ministry is keen to develop health care services and develop medical supplies to meet the needs of the local market and to attract more investments and establish new projects within this sector during the current stage. The minister concluded his meetings with Tamer Hamed, Regional Manager of Procter & Gamble, International, Egypt and the Near East Region. The meeting discussed the companys current and future investment plans in the Egyptian market. The minister reviewed the ways of enhancing cooperation between the company and the ministry to maximize the role of the company in the Egyptian economy. , And the companys plan to increase its exports from Egypt to the African continent as part of the Ministrys plan to increase access to the continent. Nassar stressed the governments keenness to provide the favorable climate to attract more foreign investments to invest in the Egyptian market, especially as Egypt is one of the most important investment destinations in the Middle East and Africa. He pointed out that the positive results of the economic reform program have attracted many international companies to invest and expand the market Egyptian economy in various sectors. The minister pointed to the importance of expanding the companys projects in the Egyptian and African markets, especially in light of the ministrys plan aimed at developing joint economic cooperation with a number of major countries in the east and west of the continent and helping them to build a manufacturing base with Egyptian expertise. 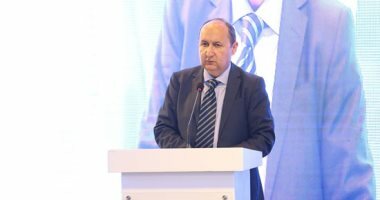 Tamer Hamed, regional director of Procter & Gamble International for Egypt and Near East Region, pointed to the companys commitment to deepen local manufacturing and increase Egyptian exports to global markets in general and Africa markets in particular. Signed on a large number of countries and major economic blocs in the world. Hamed pointed out that the company has been operating in the Egyptian market for more than thirty years. Its current investments amount to about 3 billion pounds and provide about 1500 direct jobs and 10,000 indirect jobs.